With our Nationwide reach, we have been an established ad agency since early 2011, with an excellent track record for the best customer satisfaction. With the focus of expanding and elevating the world of innovative advertisements, the Innovative Media Services is one of the top-notch outdoor advertising agency in Delhi, Kolkata, Bangalore, and Mumbai. The sole aim of this organization is to provide class-apart service as per the choices of the customers. Through innovative concepts and idealization, the company guides its customers to reach the level of excellence and stand apart from others. Through the years, IMS has also expanded its business as one of the best digital marketing agency in Delhi and other parts of India with the help of diligent professionals. Team IMS provides services targeted to transform brands and grow their businesses by driving sales. We have never compromised on the quality and the services provided to the customer. Outdoor Advertising or OOH is one of the oldest forms of advertising aiming at mobile customers so that brands can reach out to their target customers not only at their residence but also at the places where they travel. It is considered the best means to generate constant awareness among customers and thereby sway decisions to purchase. Considering the magic mix of 4Ps (Price, Place, Product, and Promotion), retail branding is done through proper planning, research, and analysis. Since brand identity plays a crucial role in boosting the brand value among its customers, retail branding is greatly adapted to arouse interest in the brand among customers. The World Wide Web has greatly influenced the market to become data-driven. As an expansion of modern media, digital marketing techniques have risen to a new level where brands are now competing digitally. In order to cater to this growing demand, Innovative Media Services has expanded its services as one of the top digital marketing agency in Delhi, India. When it comes to creative concepts, IMS always proves its efficacy throughout the box campaigns and ideas depending upon the brand’s USPs and purpose. The agency works with a brilliant creative team responsible for preparing unique, interesting and sales-driven concepts. Sanjay has an eye for spotting buisness opportunities with an uncanny ease. Additionally his creativity helps him to handle difficult situations. He is an asset for any team. Sanjay has good marketing and business sense. He is extremely P&L focussed. He is a good listener, ensures delivery to client like is desired and is always willing to go the extra mile for the client an the organisation he works for, which i guess gives him an edge over the others. Sanjay has been a great colleague. Dynamic, dashing and go-getter. He has always excepted challenges, both at personal and professional world and accomplised the same with great sucess. He will be an asset to the company, for which he works. Sanjay, is one of the most client friendly vertical heads I have interacted with. He has a very sharp grasp of client expectations and provides sound advice to lead to an effective campaign strategy. The speed at which he and his team delivers is also remarkable. As Dhruv and I grow EatAds.com into the Indian market, it is important for us to have entrepreneurial-minded partners that are proactive, quick to communicate and forthcoming with ideas. Innovative Media Services team have done a great job and continue to do so. 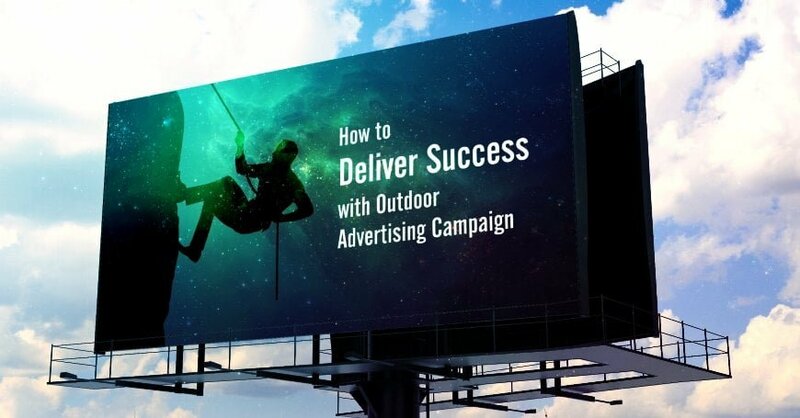 More and more marketers prefer to add a sizable component of Outdoor Advertising in their marketing strategy to reach to the potential customer. We at IMS offer extensive retail branding techniques and tools to our clients. We help our client to create a brand image that potential users find realistic. Online Marketing or Digital Marketing broadly means selling the products or services on an electronic medium which in this case is the Internet. The creative concepts department is the soul of the agency. Everything depends on what the creative concepts team perceives, interprets and presents. Our event management team is led by a strong leadership team, which gets involved in negotiations with suppliers, clients, venue management, etc. One of the old strategies of taking advertiser’s product to the market at no extra cost has been the barter deal opportunities. What are the Advantages of Outdoor Advertising?